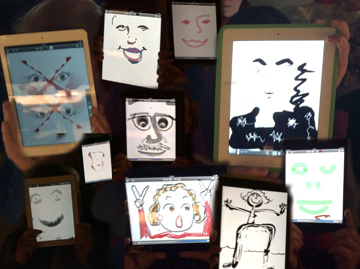 In December of 2013, Bobbi kicked off a series of workshops on making art with the iPad. These workshops are designed to show the traditional artist how the iPad can accelerate their growth and development. So far there have been 3 workshops and they have all filled to capacity. I hope to see you soon in a workshop! My iPad workshop on Feb. 8th at Falls Church Arts, filled and a second one has been added for Saturday February 22nd, from 1-5pm. For more information or to register call Barb Cram at 703-282-6563. This workshop is held at 410 South Maple Avenue in Falls Church VA. I will be teaching a two day workshop at the ArtLeague School in Alexandria VA titled "Painting the Figure in the Landcsape" on March 15th and 16th, a Saturday and a Sunday. On April 5th and 6th, I will be teaching a two day iPad workshop at Apple Tree Art Studio in Springfield VA. This workshop is called "iPad Strategies for Twenty-First Century Artists". Contact Susan W. Johnson for more info or to register. 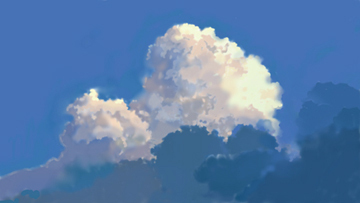 On April 19th, I will be teaching a one day "iPad for traditional artists" workshop at Chesapeake Fine Arts Studio. This is a beautiful work space in a lovely location, very near the Chesapeake Bay Bridge, in Grasonville MD. 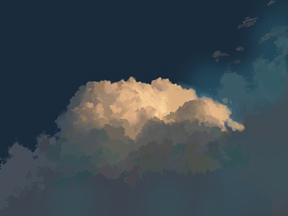 Join us and find out how the iPad can help you grow as an artist! 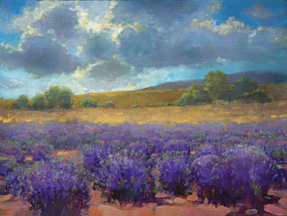 On April 27th, I will be offering a one day "Plein Air and the iPad Workshop" at the ArtLeague School in Alexandria VA. Contact me for more info. Virginia Historic Garden Week and "The Painted Garden"
Bobbi Pratte was a featured artist in this years' show, "The Painted Garden", held at Beach Gallery in Virginia Beach. 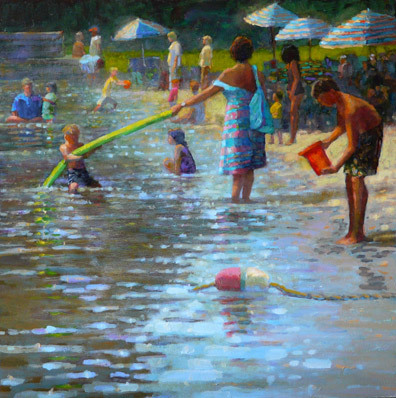 This annual fund raiser shows the beauty of Virginia gardens through the eyes of featured artists. The show ran from April 20th to the end of May 2012. On May 31st the group show "Landscapes and Other Visions" opened at the Ratner Museum in Bethesda MD, and ran to June 25th. Bobbi had 8 paintings in the exhibit. 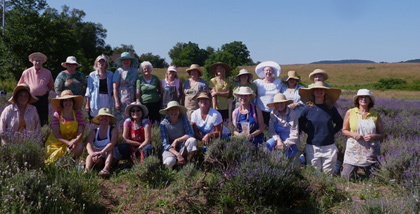 In June, Bobbi led a two day plein air workshop in Fairfield PA. Held on Willow Pond Farm, participants spent two lovely days painting in the lavendar fields and also enjoyed a 6 course luncheon prepared by chef Madeline Wajda. Each course contained lavender, including the wonderful iced tea. The workshop is being held again in 2013. Be sure to register early, last year's workshop filled up weeks ahead of time. For information, please contact either Margaret Cerutti at The Art League School or myself. Add an email link. "A Tribute to Margaret's Garden" at Herndon Art Space. 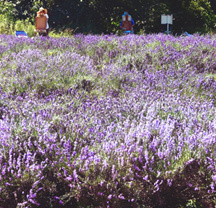 Margaret's Garden in Oakton VA, was a haven for artists for over 25 years. With Margaret's passing, the 5 acres of iris, peony and other lovely blooms now only exist in the paintings and photographs of the artists who captured them. This juried show was held in July and opened to a huge crowd. Pratte had two pieces juried into the show and one was sold immediately. Hugely popular, "Margaret's Garden" was a lovely tribute to the woman who brought joy to thousands of people who visited her property. The garden was featured in this New York Times article. 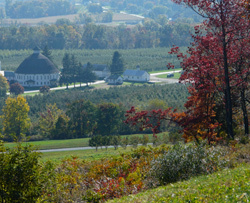 October brought beautiful color to Adams County, Pennsylvania. 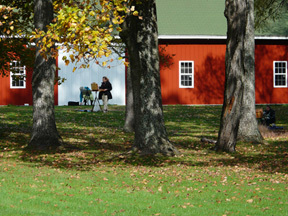 Bobbi led a two day plein air painting workshop at Hickory Bridge Farm in Ortanna PA. This beautiful bed and breakfast gave plenty of inspiration ( and great breakfasts) to our participants. We also sketched at near-by Hauser Winery, where we enjoyed a wine tasting as well as the lovely view from the mountain top. This workshop will be held again in the Fall of 2013, be sure to register early. Plein Air 757 was a two day event that allowed artists to paint anywhere in the "757" area code. 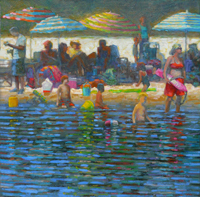 Forty artists from the US and Canada were juried into the event and enjoyed a lovely opening in Virginia Beach. With "Super Storm Sandy" off shore and approaching rapidly, the artists were painting in conditions that they will probably remember for a long time. Bobbi won the 2nd place award for her painting "6:45" and spent the award money, getting a large tree removed that fell on her yard as a result of the storm! 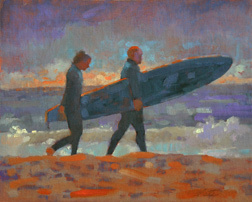 The paintings from "Plein Air 757 traveled to three other venues and were called "Art on the Move". In November they were on exhibit at The Charles H. Taylor Art Center in Hampton, in December at the Arts Center @ 319 in Smithfield VA, and in January they were at The Stage Door Gallery in Cape Charles VA. In November the opening for the American Impressionist Society took place in Indianapolis Indiana at Eckert-Ross Fine Art. 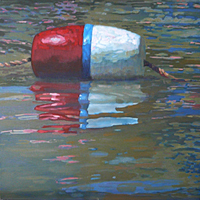 Bobbi's painting "Buoy, Shallow Water" was one of 100 juried works on exhibit. Pieces in the show were chosen from over a thousand entries. Registration has begun for the winter quarter at The Art League School. The class "Landscape Painting, Breaking it Down" will be on Monday afternoons 1:00-4:00. 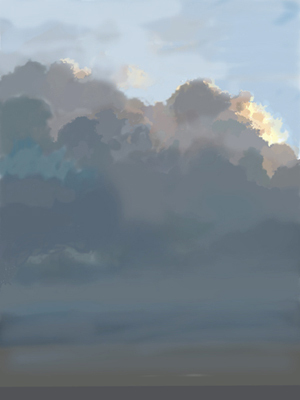 The Winter quarter will find students focusing on the challenges of painting skies. For more information and to register on line visit http://www.theartleague.org. Go to "School" and look for “Bobbi Pratte” under the drop down menu. Bobbi's painting "Buoy, Shallow Water" has been selected for inclusion into The Richeson75 International; Small Works 2012 Exhibition. A total of 75 pieces were accepted from the hundreds that were submitted from around the world. 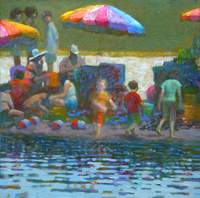 Prize winners will be selected by jurist Stephen Doherty when the show opens. 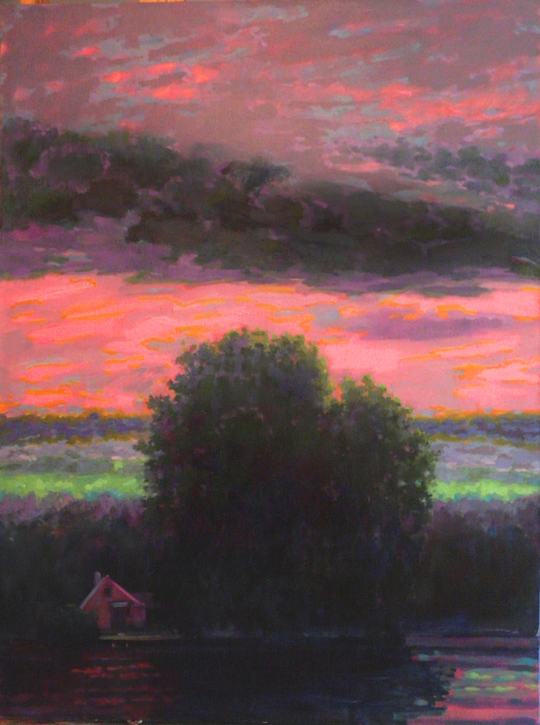 The exhibit runs from February 6-March 30, 2012 in Kimberly, Wisconsin. A full color hard bound catalogue of the show is produced and offered for sale. Two additional paintings by Bobbi, "Stripes" and "Shoreline" were selected as "Meritorious Entries". All three paintings are 12x12" oil on panel and are images of Lake Barcroft. In October Bobbi participated in the plein air event "Out and About Norfolk". 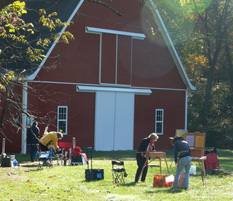 The two days of plein air painting ended with a "Wet Painting Sale and Gala". 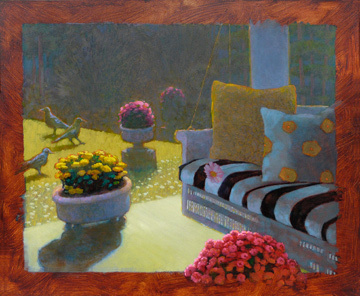 Her painting "Hermitage Rose Garden" was given the "Jurors Choice" award and sold that evening. The Art League's annual landscape show "Scapes", was held in August and Bobbi's painting "The Green Noodle" was awarded an "Honorable Mention" and sold during the opening.